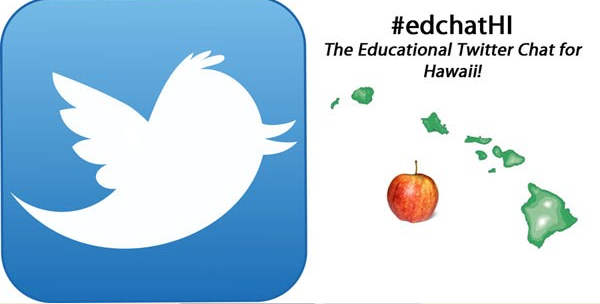 Our inaugural #edchatHI Twitter chat on January 6 was a success! We wanted to be sure everything went smoothly, so we decided to do a private Google+ hangout as we moderated. We highly recommend doing this. It makes moderating easy and fun. Our behind-the-scenes team? Michelle Carlson Colte, Ellen Cordeiro, Megan Cummings, JoAnn Jacobs, Michael Fricano II, and myself. Q2: Why are you here tonight? What brought you to our Twitter Chat? Q3: What are your edu related interests, questions, and/or challenges? Q4: What is your New Year’s Resolution as an educator? Q5: What are some future #edchatHI topics you’d like to discuss? We need your help and we want you to own this. Check out the archive for yourself. Most of the team tracked the chat with TweetChat, to test out its capabilities. Generally, we gave it a thumbs up. The one drawback we saw was that the app didn't make suggestions for Twitter handles as we started to type. The #edchatHI Monthly Twitter Chat is off to an auspicious start! Please be sure to add the second #edchatHI Twitter chat to your Google Calendar! The more conversations and connections the merrier! P. S. Private hangouts add a delightful twist to Twitter chats. We met and cheered for +Michael Fricano II's new puppy, oohed and ahhed when familiar name David Wee appeared in the chat, and marvelled at how quickly the hour went.